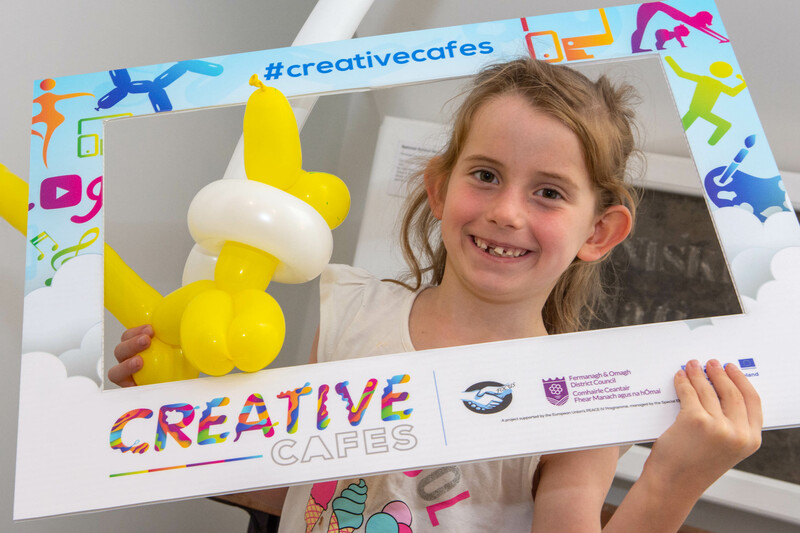 Children and young people from across the Fermanagh and Omagh District have had the opportunity to enjoy creative activities and form new friendships through the new ‘Creative Cafés’ programme. 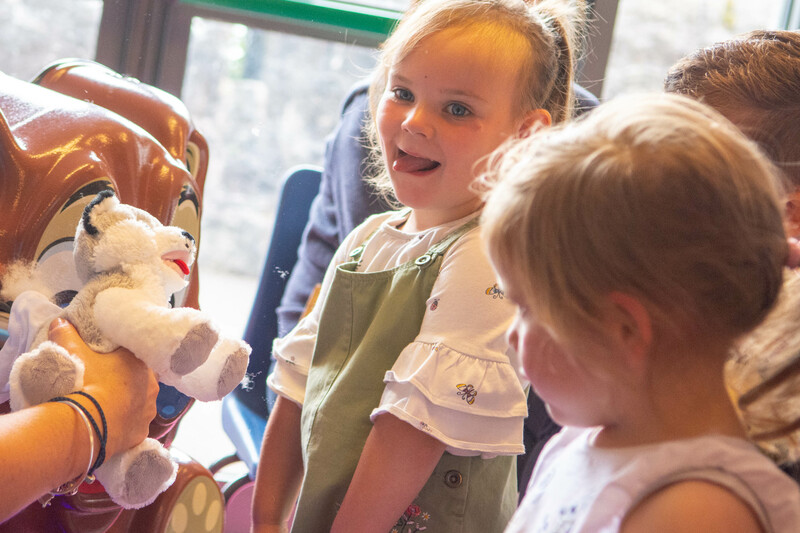 ‘Creative Cafes’ is an exciting programme which enables children to participate in a range of creative activities whilst forming positive and effective relationships. The project is one of 16 projects taking place across the District as part of the £2.8 million Fermanagh and Omagh PEACE IV Local Action Plan, which is being delivered by Fermanagh and Omagh District Council and supported by the European Union’s PEACE IV Programme, managed by the Special EU Programmes Body (SEUPB). 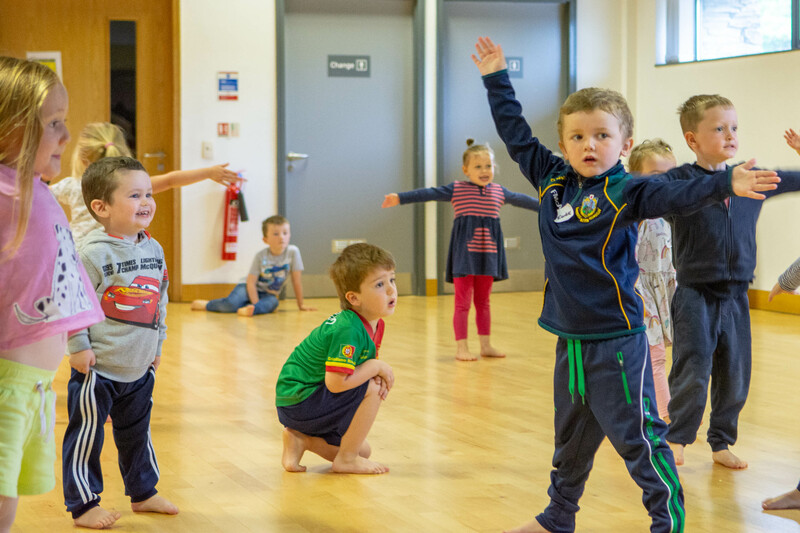 Match-funding has been provided by the Executive Office in Northern Ireland and the Department for Rural and Community Development in Ireland. 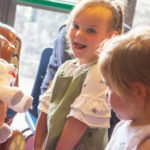 The ‘Creative Cafes’ programme is based at Enniskillen Castle and the Strule Arts Centre, Omagh with age specific activities supported by specialist tutors and facilitators. 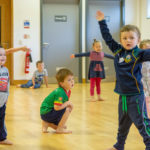 Over the last number of weeks, babies and toddlers have enjoyed dance and movement sessions with Dance Tutor Dylan Quinn while local professional photographer, Virginia Munoz, has worked with parents and their babies on how to create the perfect baby picture. 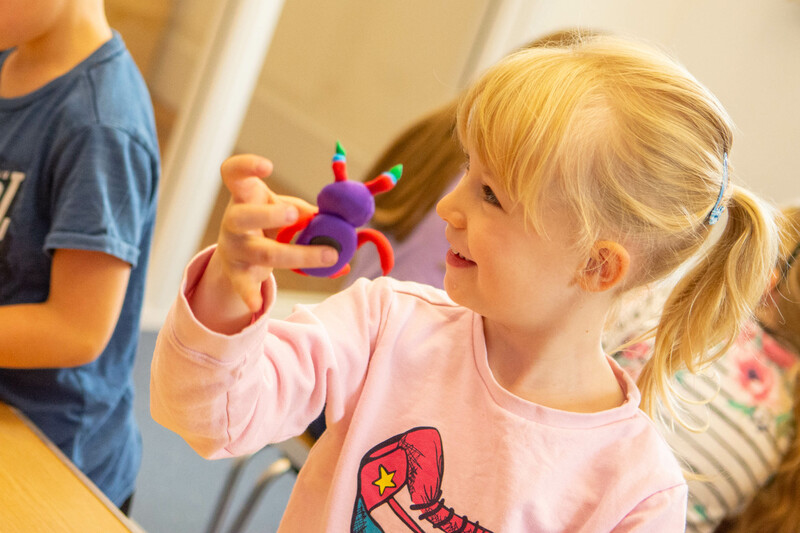 Children in the 3-5 age category have worked with more advanced art forms, such as clay modelling with local tutors from SPACE. The children have also been working on Fairy-houses that will come together to form a “Shire” at the end of the programme, highlighting how every house may be different but that they all come from the same place. The 6-8 year olds meanwhile have explored diversity through balloon modelling with Duff Balloons. 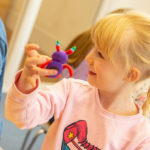 In addition to the arts-based activities, each session has some “café-time” where parents and children can sit, have refreshments together and get to know one another. Sessions for those aged 9-12 and 13-16 years old will start in the coming weeks and will include Theatre make-up, Vlogging tutorials, Drama and much more. Participation on the programme is free of charge. 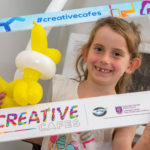 The ‘Creative Cafés’ programme is delivered by FOCUS, the Urban Community Network in Omagh, on behalf of Fermanagh and Omagh District Council. To express an interest to take part in the programme please contact FOCUS by telephoning 028 8224 0991.